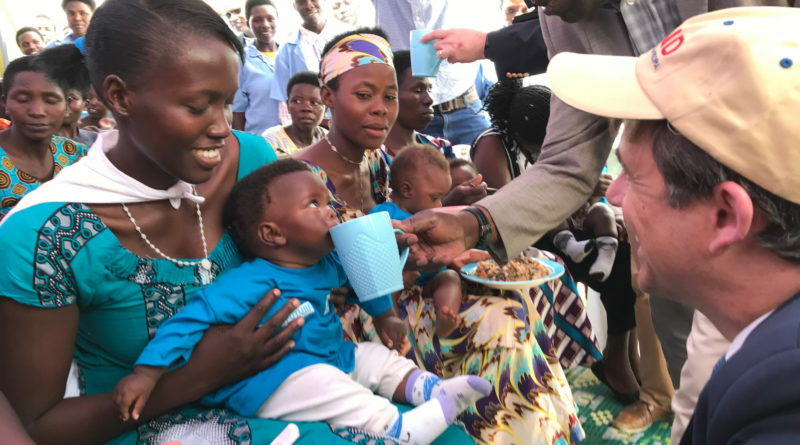 About 21.9% of all child mortality cases in Rwanda are associated with under-nutrition, which has reduced Rwandan workforce by an estimated 9.4%, according to Scaling Up Nutrition (SUN) Alliance – an umbrella of Civil Society Organisations engaged in the fight against malnutrition in Rwanda. Some 38% of children in Rwanda are stunted as shows the recent Rwanda Demographic Health Survey (RDHS) of 2014/2015. And, in real numbers, stunted children in the entire Rwanda are estimated at 739,100, SUN Alliance revealed during a meeting between civil societies and journalists to discuss challenges that hamper food and nutrition security in Rwanda, on June 29, 2018. Talking about monetary implication that malnutrition among children has to Rwanda’s economy, SUN Alliance estimated that the annual costs associated with child under-nutrition are estimated at Rwf503.6 billion, which is equivalent to 11.5% of the country’s Gross Domestic Product (GDP). Moreover 12.7% of all repetitions in primary school are associated with stunting. Only 17% of children get required nutritious food supplements after compulsory first six months of breastfeeding after birth, Muhamyankaka said quoting RHDS 2014/2015. He recommended implementation of actions to address malnutrition in all its forms for sustainable development; strengthen National and district sccountability on nutrition targets, seliver better nutrition outcomes with existing funding, strengthen alliances between nutrition partners, as well as identify the data gaps that hinder effective action- and fill them. Experts in nutrition sector underscored the need to step up efforts for bio-fortification of staple food crops, and fortification of food at industrial level to enable availability and affordability of foods with enhanced nutritional value. 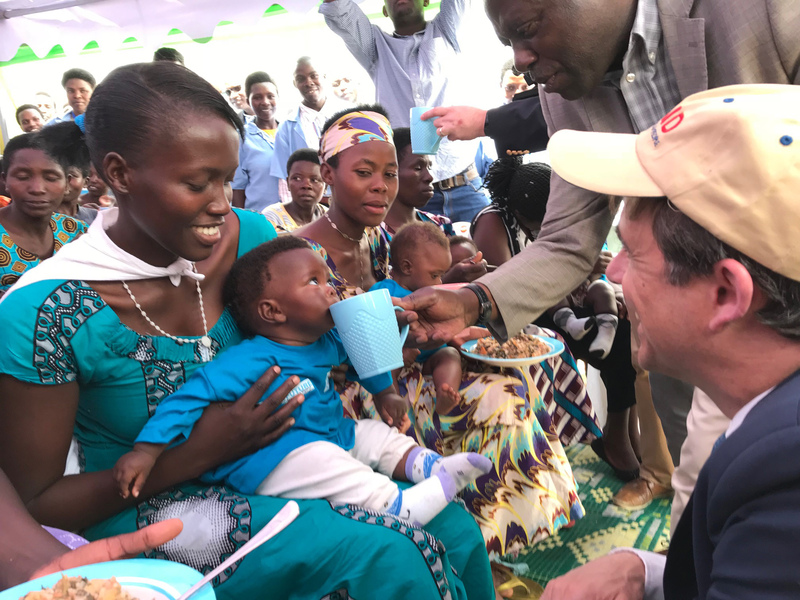 State Minister for Agriculture, Fulgence Nsengiyumva feeding a child with milk as United States Ambassador to Rwanda, Peter H. Vrooman looks on with a smile during the launch of a USAID funded $32 million agriculture development and nutrition sensitive project on Thursday, April 26, 2018 in Bugesera District (courtesy). 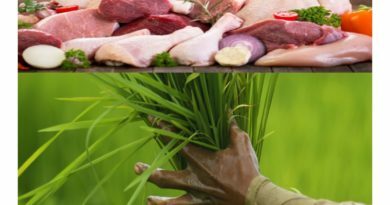 “Some studies were done in Rwanda, and the food fortification policy was developed, but it is yet to be discussed and endorsed, other East African countries have passed this law, once it is in place the sector will be easy to regulate and implement” said Damien Ndizeye the Executive Secretary of ADECOR, a consumer rights protection organisation. Addressing malnutrition plight needs multidisplinary and comprehensive approach, said the Minister of Health, Dr. Diane Gashumba. The Minister observed that the government has been providing free nutritious fortified food to about 120,000 children under two years of age and pregnant as well as breastfeeding mothers up to six months from their child’s birth to improve their nutrition. The beneficiaries, she said, are from economically vulnerable families in the first Ubudehe category (the poorest section of Rwandans) in all the 30 districts of the country, and second Ubudehe category in 11 districts which have the highest cases of stunting. “Fighting malnutrition should be achieved through a holistic approach; even if a child consumes enough fortified food, yet suffers from lack of hygiene such as through consumption of contaminated water at home, they will contract intestine worms and will consequently never absorb and digest what they have eaten,” she said as she highlighted the importance of hygiene and sanitation, which she argued can alone cut down malnutrition by 30%. “That is why we are partnering with local government, Ministry of Gender and Family Promotion, so that all these efforts including food security, fortified foods, hygiene and sanitation, vaccination, antenatal care, family planning, have coordination towards a well-informed target,” she said. The recently released World Bank’s 12th edition of the Rwanda Economic Update, Tackling Stunting: An Unfinished Agenda, notes that while stunting rates have declined gradually since 2000—and at an accelerated pace since 2010—they remain stubbornly high at 38% (2014-2015). According to the World Bank, stunting rates in Rwanda are highest among the poorest households, and those living in rural areas. World Bank’s recommendations include to adopt a pro-poor approach, targeting the poorest children and those under two years of age during the critical 1000-day window, beyond which stunting is largely irreversible. The Director General of Rwanda Agriculture Board (RAB), Dr. Patrick Karangwa said Rwanda has iron and zink-rich beans and vitamin A-rich sweet potatoes, but acknowledged that efforts need to be put in the extension services for them to be accessed by more farmers. 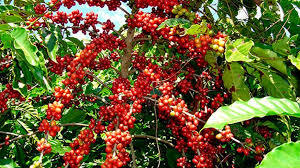 However, he said that though biofortification of crops can offer a contribution to combatting stunting and malnutrition, it cannot be a silver bullet or a magic solution to the problem; rather it should be complementary to other nutrition efforts. “Biofortification of food is one of components in addressing stunting, but, it is not a silver bulle to the problem. 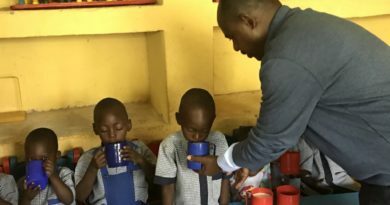 We have biofortified beans and Sweet potatoes, but, a person cannot effectively overcome stunting if they do not consume other food items such as animal products like meat, milk and eggs,” he observed.Rwanda targeted to reduce stunting among children under 5 years of age from 44 percent in 2010 to 18 per cent by 2018. However, such a target seem to be ambitious nas stunting is estimated at 38 percent in 2018, according to information from the Ministry of Health. In the Ministry’s Health Sector Strategic Plan (HSSP 4) running from July 2018 to June 2024, the stunting reduction target has been brought down as the government seeks to make it 29.9% by 2020 and 19% by 2024.